IKEA's NEW LIMITED COMPLETELY NATURAL COLLECTION - NIPPRIG - HIP HIP HOME! 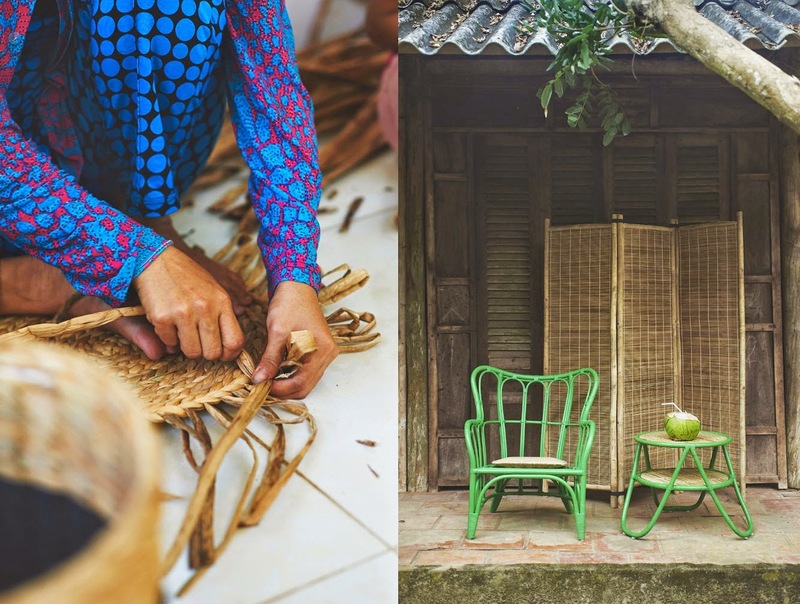 Not only is it easy to pronounce, the NIPPRIG line is completely natural, made from natural materials like Rattan, Seagrass and Water hyacinth. How perfect for Spring or summer. They also have straw hats and beach bags for us ladies. Maybe IKEA is slowly getting into women's fashion. Hmm. This line extends from an entire Sofa ( Yes!) to handwoven placemats. Here are a few of the products. They are handwoven in Vietnam and Indonesia by local craftsmen. 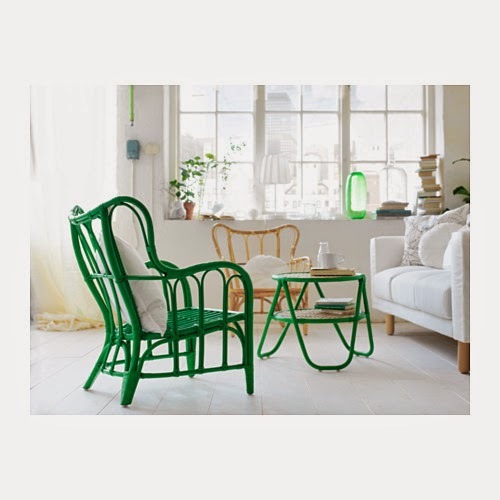 There is also a video on the IKEA website, that demonstrates the weaving process. 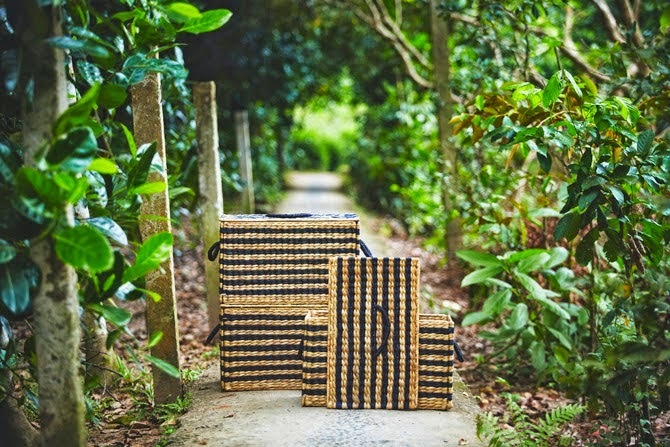 I am personally drawn to natural materials like rattan, jute, seagrass and I think this line is beautiful. Baskets, placemats, lampshades, sofas, chairs, benches, brooms, room dividers, rugs - You can probably furnish an entire house with the NIPPRIG line. Not that you would want to, but the collection is huge! I feel they have not introduced many new products in a while, so this is good news for IKEA fans. The website says the line comes out in April and I can see online that the products are already available at my local store, Yay! It is also limited edition, while supplies last only. I will soon be heading out to IKEA to check these out. Have I mentioned I live less than 5 miles from IKEA? All pictures are courtesy of IKEA. This is not a sponsored post. Honest opinions of items I love! I love Ikea too...I mean affordable design for all? Who can beat that. Crushing on that wicker love seat in the first photo but can't find it on their site. Looking forward to following your blog (like the name change too--funny because I just separated my IG @color.pulse.designs out from my new my blog, thefarmedhouse.wordpress.com. 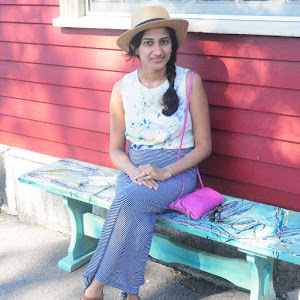 Hope you visit the blog and share your thoughts as well! Hello Teri! Yes who doesn't like IKEA right? I think some of their not-so-cheap products are very well made. This collection is a limited edition one, and I am not sure if you will find it on their website anymore. If you really want it, you can check out the store, cos I still see some NIPPRIG products in store. So exciting for you - the new name change! Good luck to you :) Heading over to your blog!